In 1996-1997 International Links Melreese Country Club underwent a $3.9 million renovation. Prior to the reopening in October 1997, Tiger Woods made his first professional south Florida appearance hosting more than 3,500 fans while conducting a clinic and exhibition. Since the reopening, the course has hosted many popular sports figures including Miami Heat basketball stars Alonzo Mourning, Dan Majerle and Keith Askins also Baseball greats Livan Hernandez and Orlando "El Duque" Hernandez. In addition LPGA tour stars Tracy Kerdyk, Christie Kerr, Patti Rizzo and Moira Dunn grew up through our junior golf programs. Two time heart transplant PGA tour phenom professional Erik Compton can be found practicing and enjoying the facility while not out on tour. International Links Melreese Country Club is also home to University of Miami women's golf team as well as the men's teams from Barry University and Johnson and Wales University. A true championship layout in every sense of the word, the new International Links Melreese Country Club is demanding as well as fair. The course has been redesigned by Charles Mahannah and is managed by DeLucca Enterprises, under the direction of Charles DeLucca. Averaging 6500 square feet and planted with certified Tiftdwarf grass built to USGA specifications, which guarantee the truest putting surface in South Florida. The architectural features of the new course are five lakes, nine waste bunkers, 97 sand bunkers and a cypress wetland strategically and interesting placed. The rolling northern style fairways not only offer beautiful elevation changes, but are an intricate part of our half million dollar drainage system which allows us to play golf when most courses are unplayable. 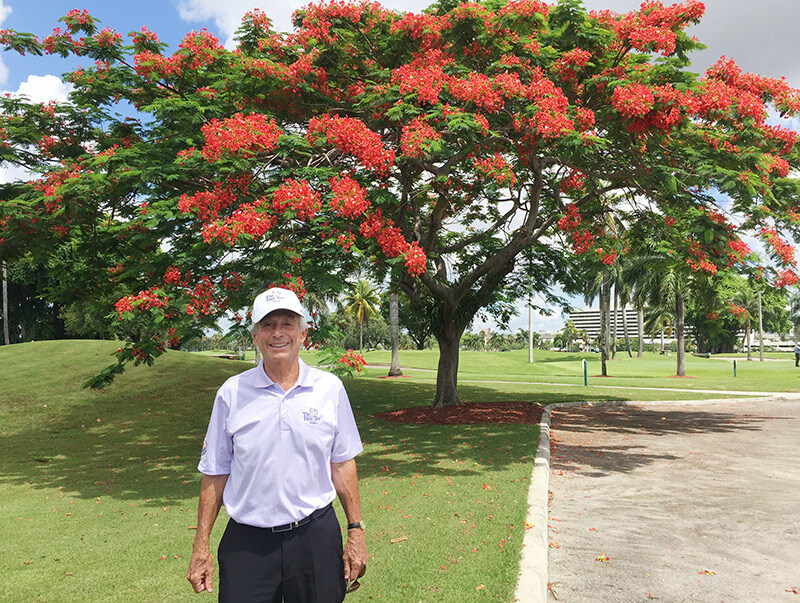 The 135 acre golf course located in the City of Miami, adjacent to the Miami International Airport. Our 12 acre two sided driving range and golf learning center is magnificent. With its state of the art 5,500 square foot, 2 million dollar plus learning center with 3 indoor hitting bays and a classroom media center large enough to accommodate 100 people was opened in the fall of 2012. Beautiful grassed tee areas as well as mats will be available. There are target greens, three practice putting greens, fairway and greenside sand bunkers.